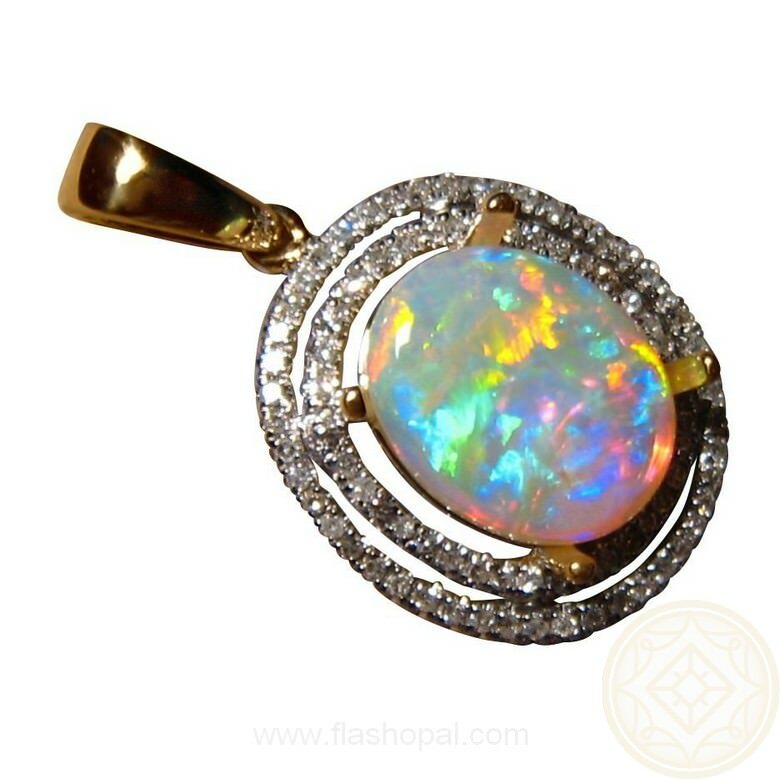 An Opal and Diamond pendant with a very bright Red and Blue Opal accented with a double halo of bright white Diamonds in 14k Gold. In stock and ready to ship. 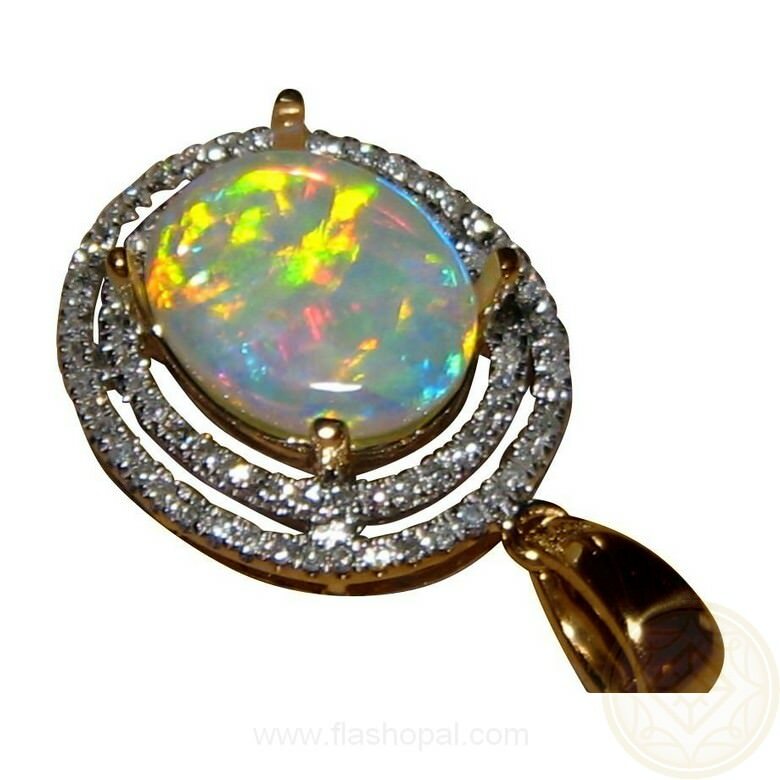 A beautiful Opal pendant with a double halo of Diamonds shown in 14k Yellow Gold. Bright Red and Blue colors with some Yellow flash in a stunning harlequin pattern as you will see in the the video below. 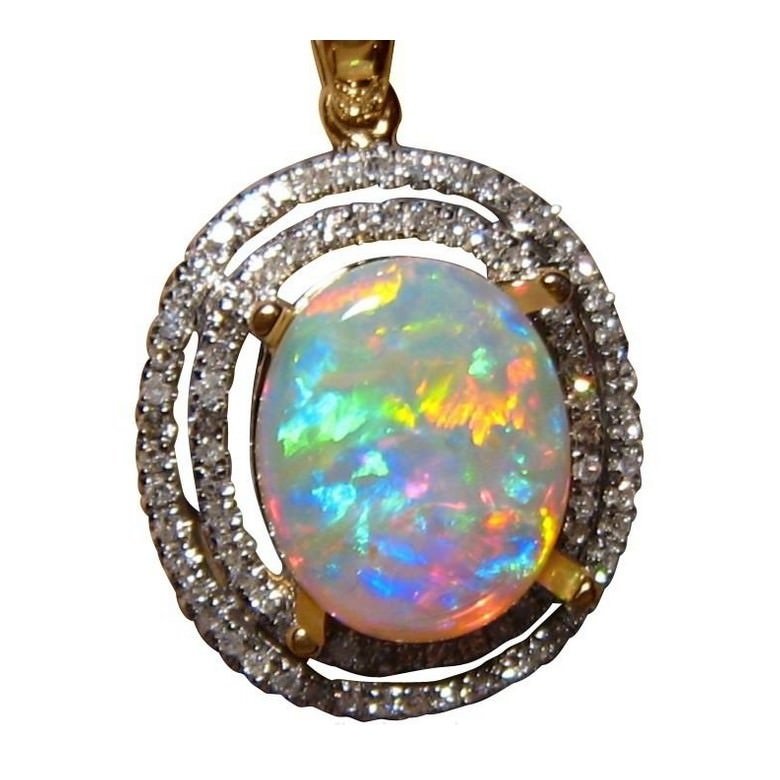 The oval Coober Pedy Crystal Opal is accented with two rows of quality bright and sparkly Diamonds with a total of 90 Diamonds. 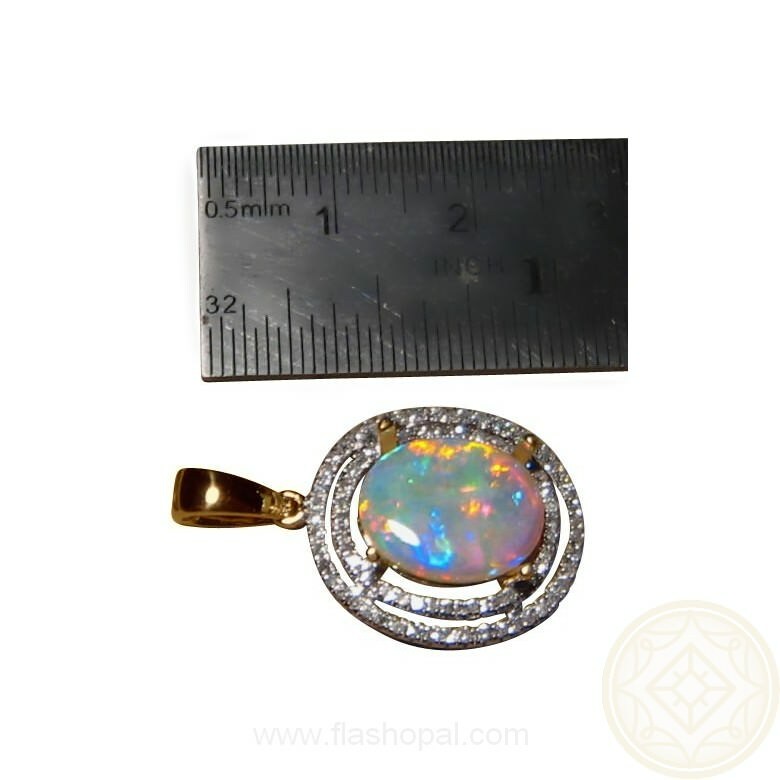 The pendant measures just over one inch long with the bale and over half an inch across at the widest points. It is ready to ship as advertised and will take two business days or 14-21 days if you prefer White or Rose Gold. 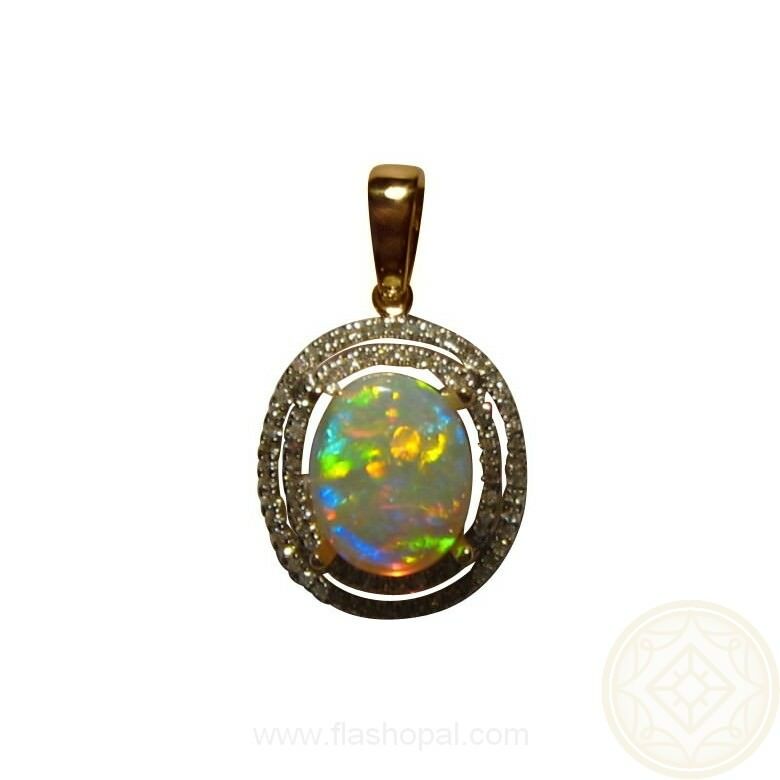 The prongs will be set once the Gold Color is advised which means this Opal can be set into a different mounting - either a pendant or ring. Simply inquire through this product with your details for a no obligation quote if you prefer something more suited to your taste.